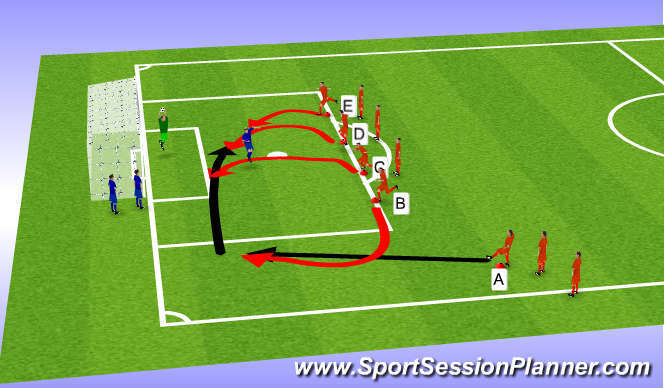 Everyone has rotational turns at lines A-E, switching after each rep. Have 2-3 defenders rotating consistently. Ball should be played in front of line B, who makes a sideways run to beat an offside line. Upon the contact of the first pass, line B breaks down field, and sends a quick cross into 3 runners who provide arching runs.